Les Nouvelles de Neuchâtel: "You Look Like Potential Carpet Buyer"
"You Look Like Potential Carpet Buyer"
Our third day in Istanbul was unseasonably warm for January, ideal for a cruise up the Bosphorus Strait. To get to the harbour, we took the tram for the first time. I love travelling on public transportation in cities all over the world. It adds so much to the experience. 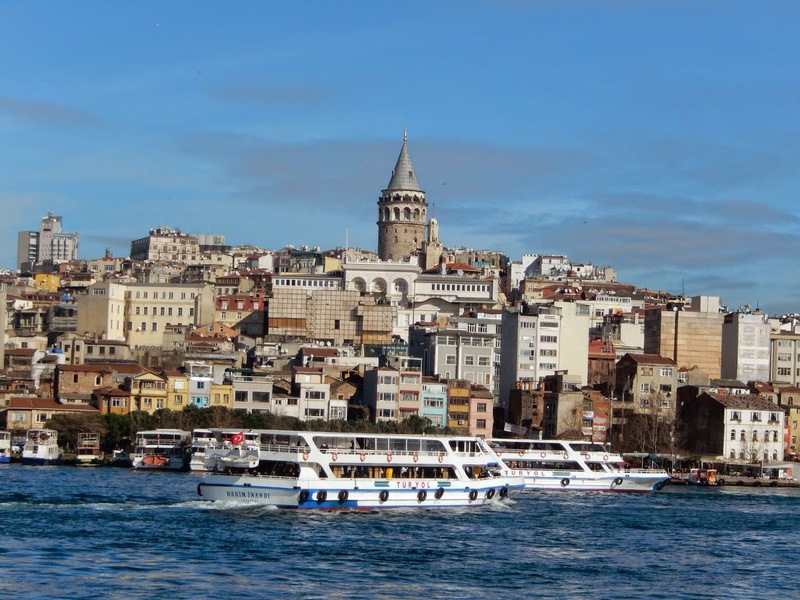 TurYol Boats in the Golden Horn waters, looking towards the Galata Tower. Our hotel guy had suggested TurYol as a reliable company so we made our way to the ticket office and booked ourselves on the 11:00 trip. With 45 minutes to spare before we boarded, we crossed the road to visit the Spice Market. Much smaller than the Grand Bazaar, this place is still full of wonders, most of the food variety. It is a feast for the senses! 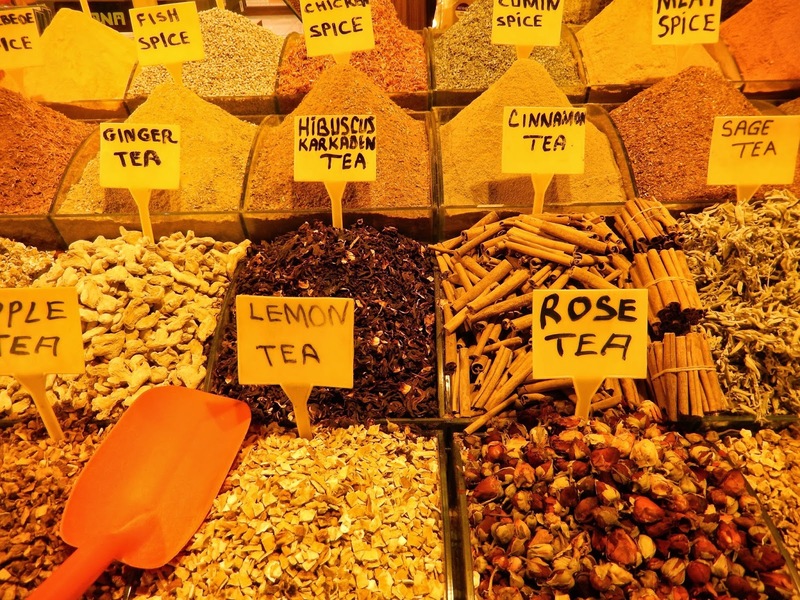 We could not resist buying apple and cinnamon tea, turkish delights, baclava and, of course, spices. The cruise was wonderful. As we headed north, Europe was to our left and Asia to our right. From the water, we had a good view of several important buildings, most of which sit on European land. 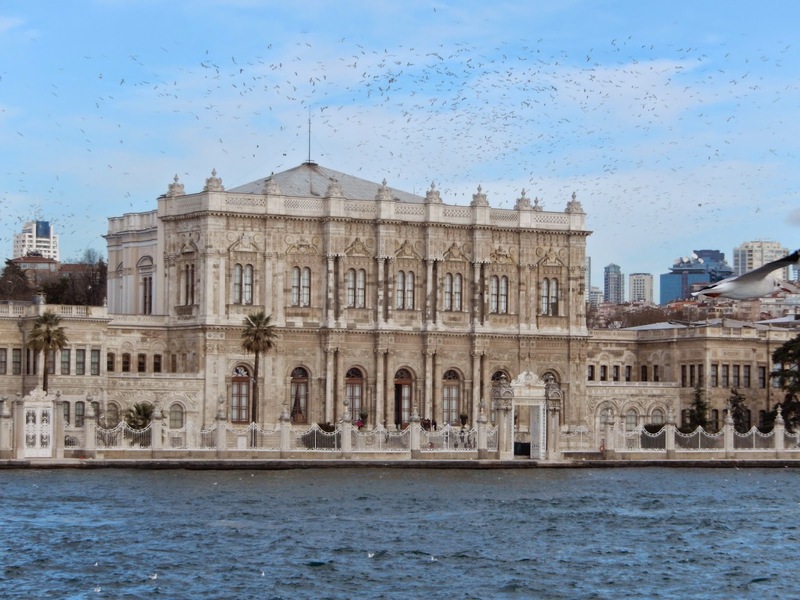 Dolmabahçe Palace, built by a sultan in the mid nineteenth century to replicate many similar stately homes in Europe, was one of the first sights that came into view. It is indeed very grand, and had we had more time, we might have planned a visit there. 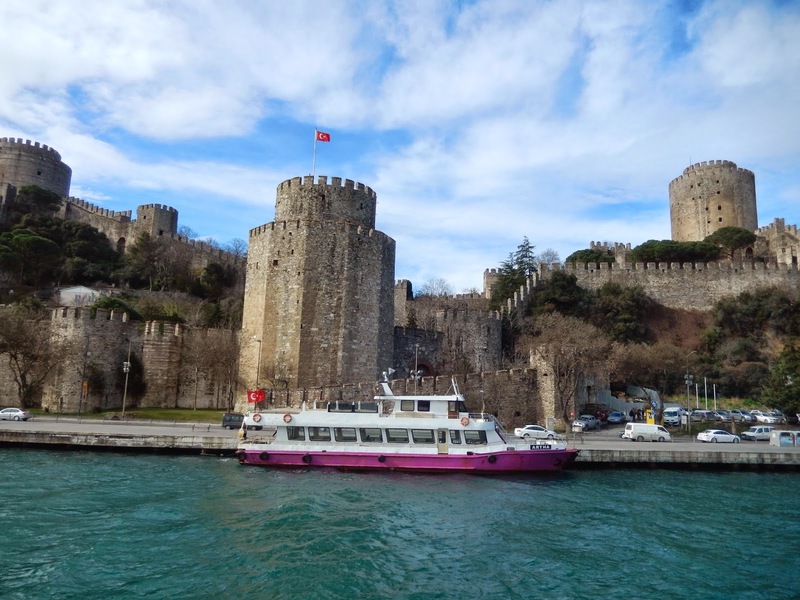 Further up the Bosphorus stands the Rumeli Fortress, erected in the 15th Century on the narrowest portion of the strait . This would be another good place to see on a return visit. Between these two massive structures were more modest – but still very lovely – homes of the current wealthy inhabitants of Istanbul. The yachts were a dead giveaway. On the Asian side, which we viewed on the return journey, we were greatly impressed by the stately Turkish Military Academy. It was also a feast for the eyes to see the southern waterfront of Istanbul as we returned to port. 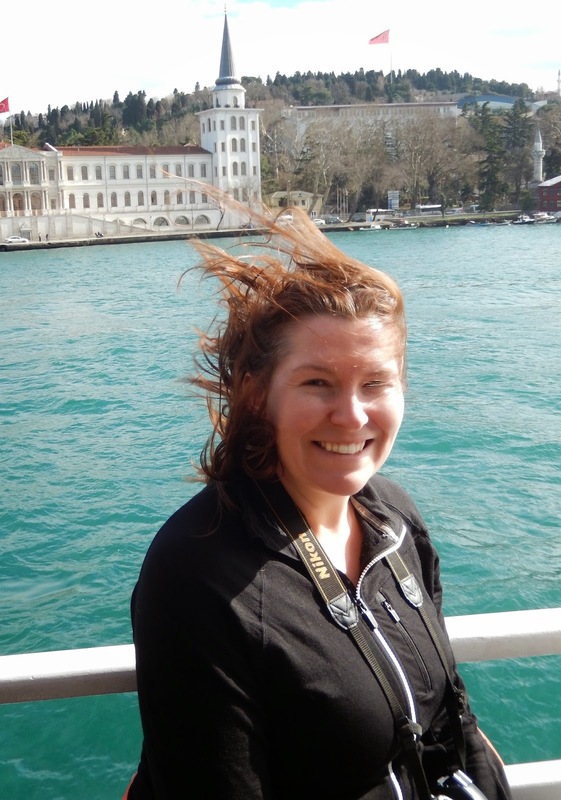 It was a little windy as we traveled south, but Katie loved the whole experience anyway. That's the Military Academy behind her. 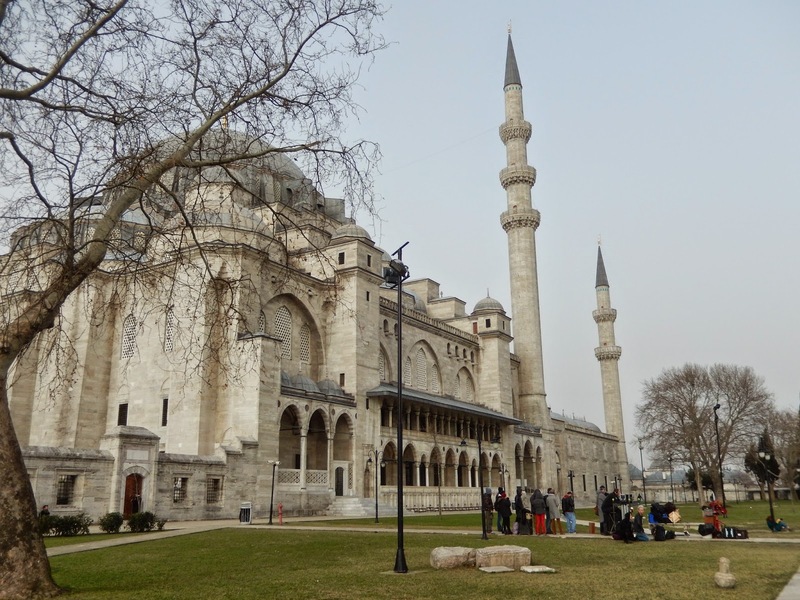 The two mosques on the waterfront: the new mosque (left) and the mosque of Suleyman the Magnificent (right). 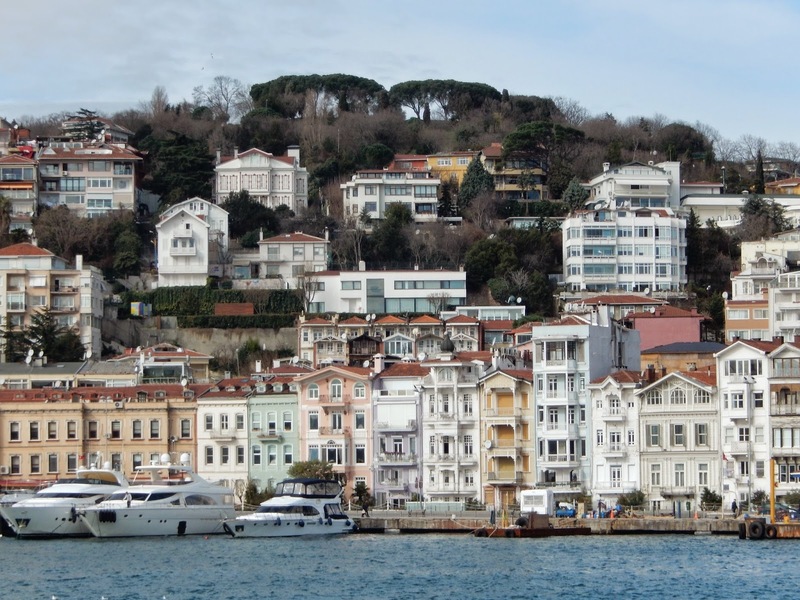 Back on land, we headed to the Beyoglu neighbourhood of Istanbul, a European sector of the city which was mostly developed in the 19th century. Interestingly, this part of Istanbul was not part of the ancient city of Constantinople which was contained entirely south of the Golden Horn, the waterway that joins the Bosphorus Strait with the Sea of Marmora. 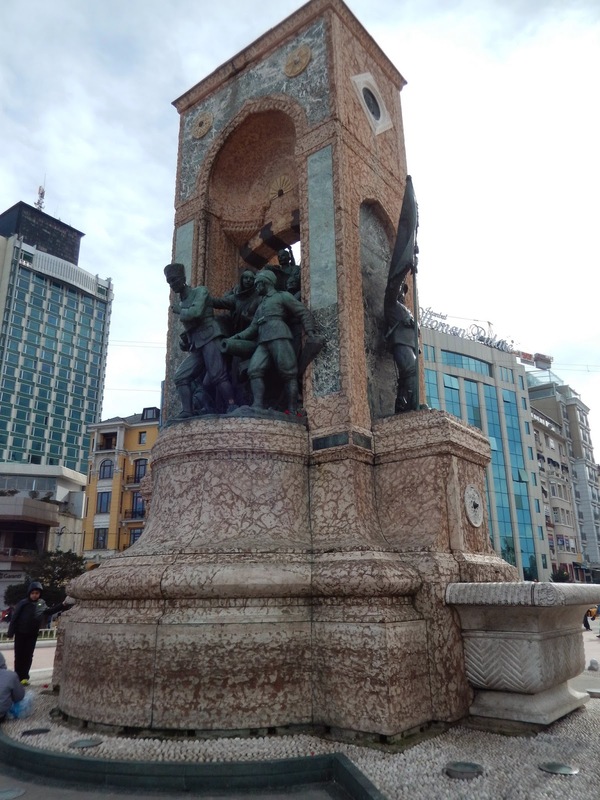 The main street, Istiklal Caddesi, descends from Taksim Square to the Galata Tower and is lined by Neoclassical and Art Nouveau buildings. This is where the modern shops are, as well as a handful of Christian churches. We visited a Greek Orthodox church, the Aya Triada Kilisesi, and a Roman Catholic Church, Saint Antonio di Padova. After exploring this area a little, Dan headed back to our hotel by tram while Katie and I decided to continue our journey on foot. This narrow mall reminded me of similar ones in Paris. This day was tiring; the combination of sea air and walking led us to opt for a kebab place for dinner that provided transportation to its customers. We were picked up at our hotel in a van and taken on an "entertaining" ride to an entirely different part of the city. This included dipsy-doodling through a traffic jam, a detour through a rather sketchy part of town, and then, suddenly, our arrival at a massive restaurant with three floors of customers, all eating kebabs. The mesas (appetizers) and the kebabs at Develi Restaurantlari were very good, so we all agreed the adventurous journey was worth the meal we had. 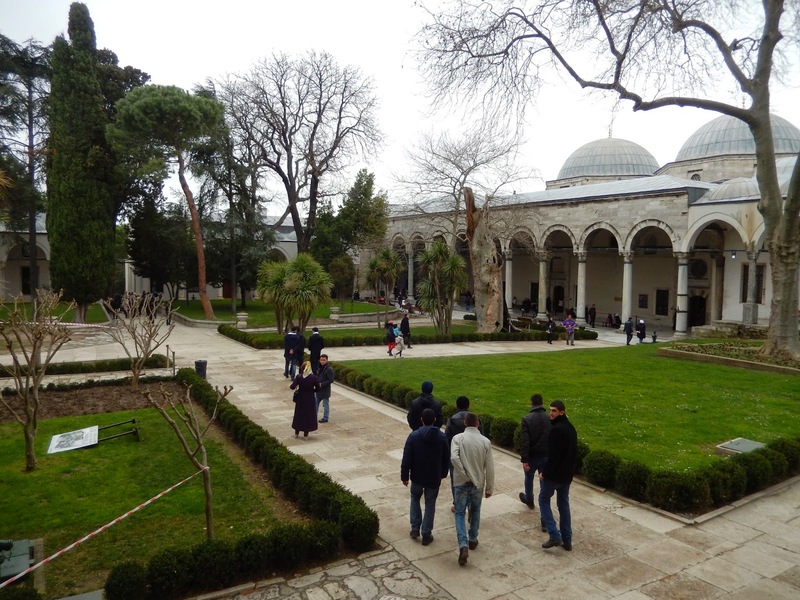 The next morning we headed off to Topkapi Palace, once the home of the sultans of the Ottoman Empire. This is a large compound of buildings, the highlight of which, in my opinion, was the Harem building. 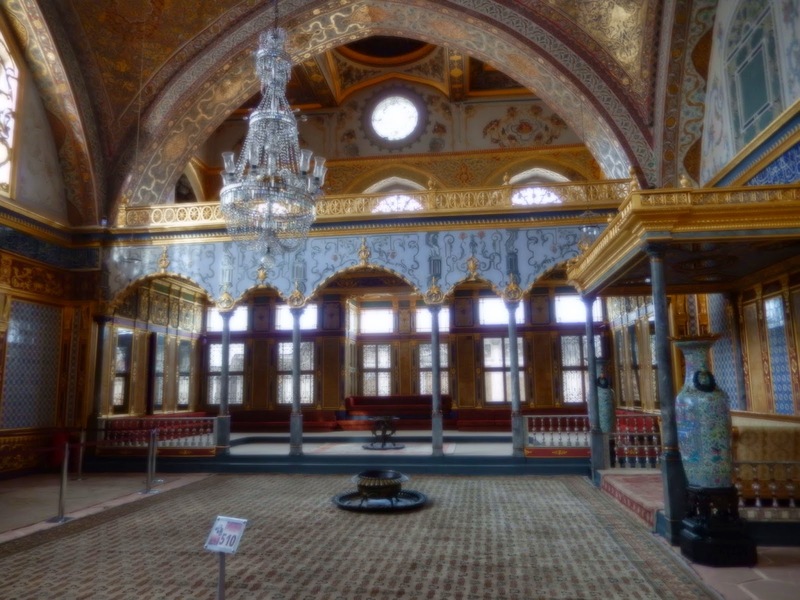 It is comforting to know that women chosen for the harem at least had beautiful rooms to look at. A room in the harem building. 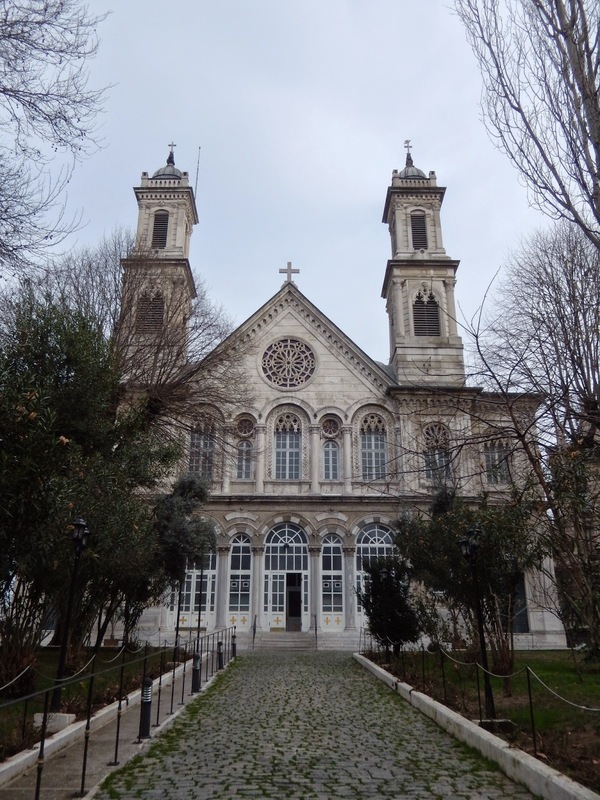 Next to Topkapi was the Museum of Archaeology, an impressive building with artifacts from the area's classical past. This was a very exciting place for Dan to see, since ancient history is one of his passions. 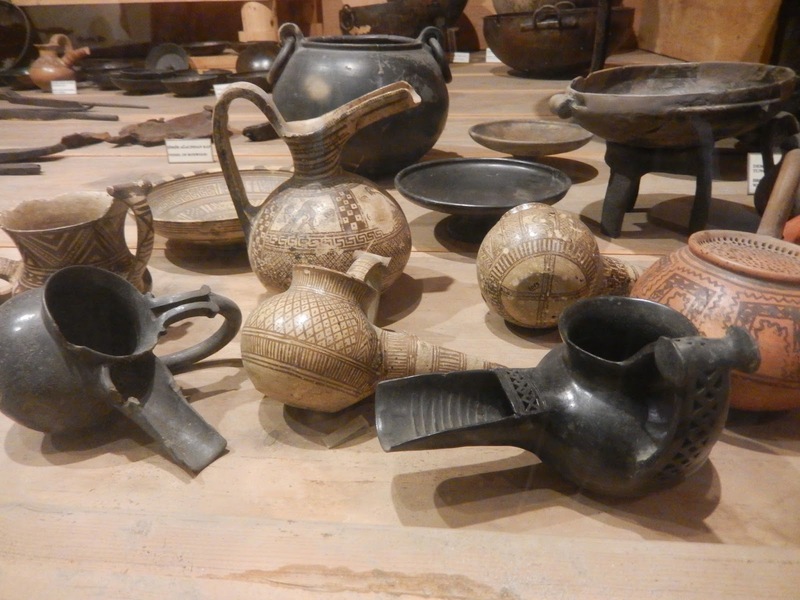 Imagine seeing pottery from Troy! As we explored this collection of artifacts, Katie and I were instructed at the same time. Dan is a very knowledgeable travel companion. 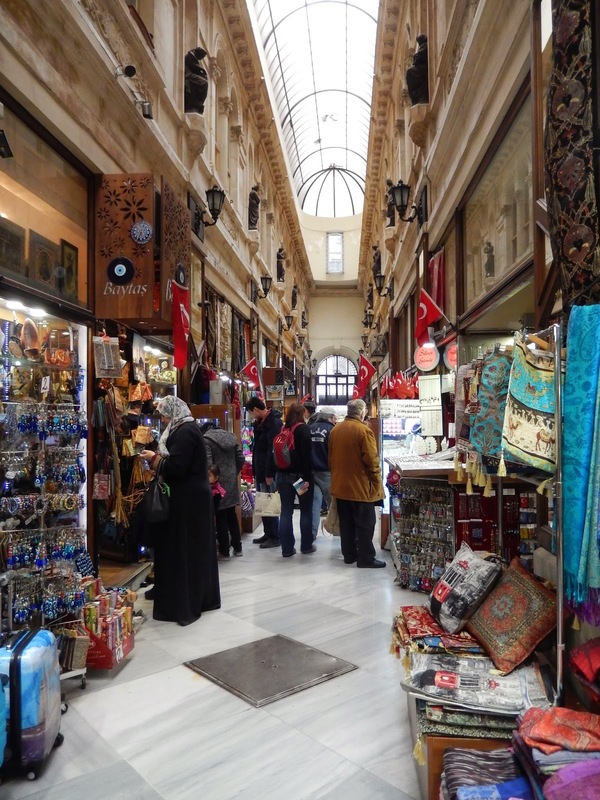 By mid afternoon, we were keen to return to the Grand Bazaar in search of treasures to take home with us. 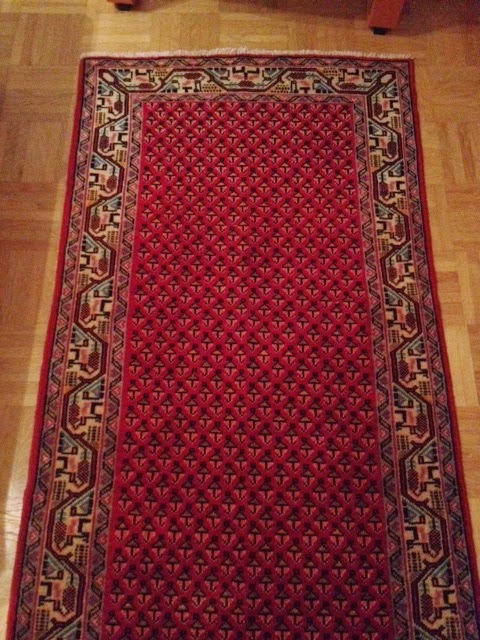 After much soul searching and a little bartering, Katie chose a beautiful carpet for her new condo. 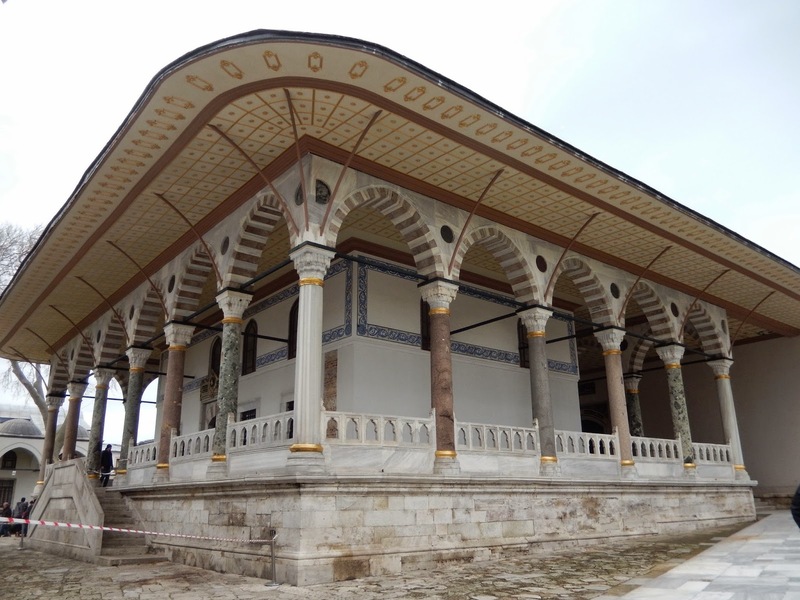 It is a Hereke design – very intricate. 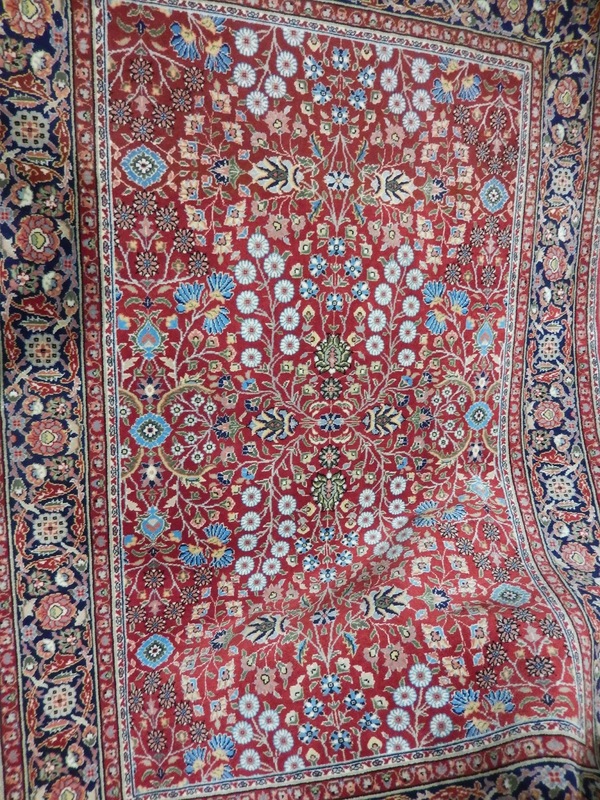 (Later in the day, I shocked everyone – including myself – by buying a carpet too. Mine is Kurdish, apparently.) We also bought jewelry, lamps and ceramics, to add to the foods we had purchased at the Spice Market earlier in the day. My carpet is a runner, smaller (and older) than Katie's. 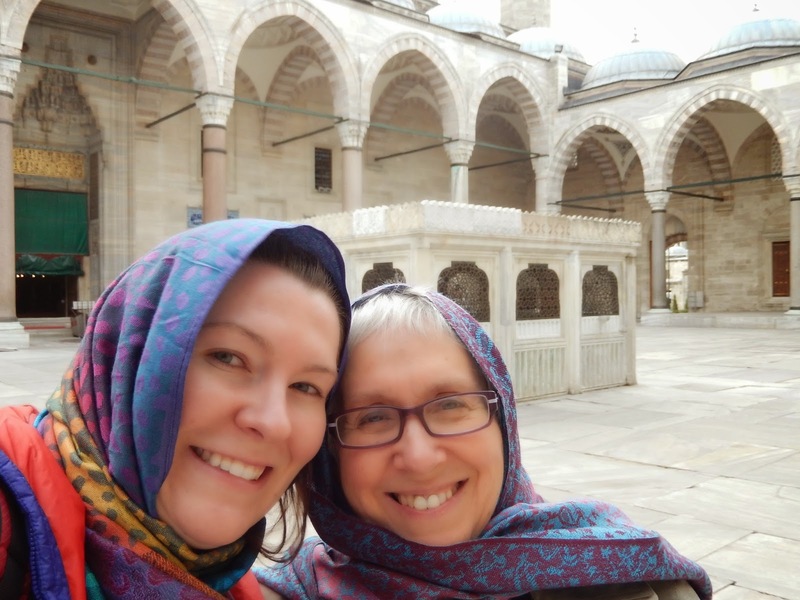 On our final morning, Katie and I made our way to the largest mosque in Istanbul, the mosque of Suleyman the Magnificent. At 9:00 on a Sunday, it was very peaceful here. We saw a Turkish film crew shooting a scene in front of the mosque but otherwise, we pretty well had the place to ourselves. 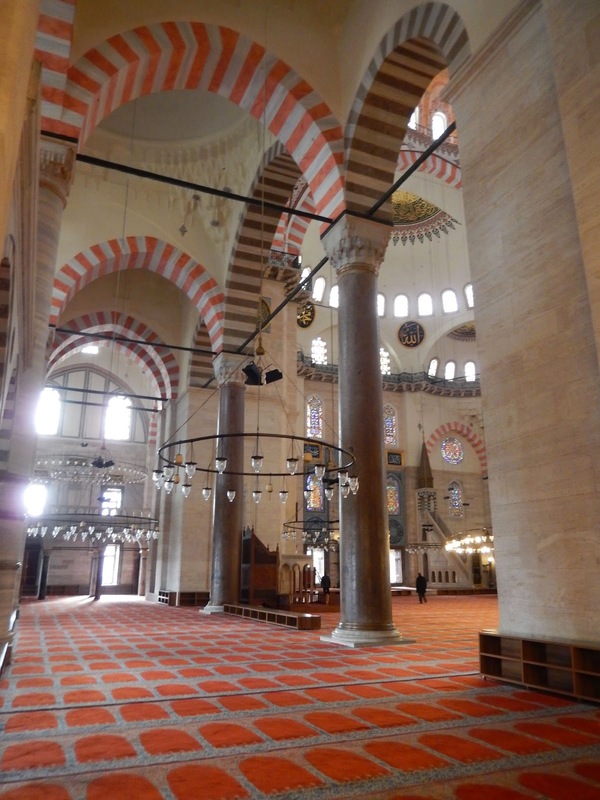 The quiet interior of the mosque. By late morning, we were at the airport heading back to Switzerland. 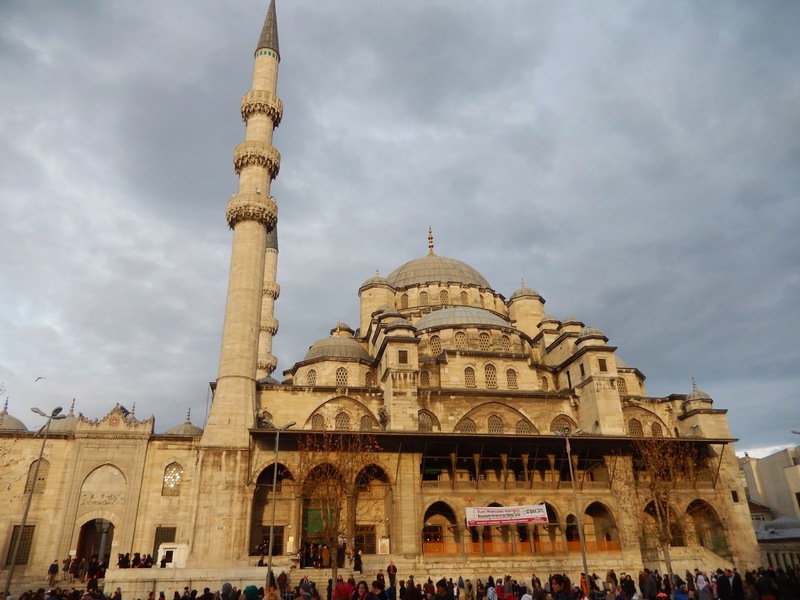 Istanbul was everything I expected and more. I think I would like to return there some day. It was special, too, that I was able to discover it with Katie. She and Dan got along famously, by the way. 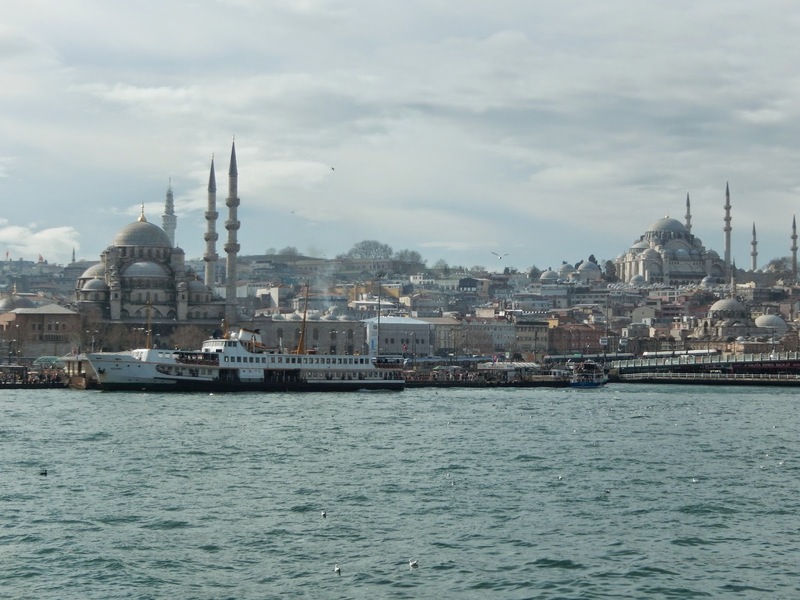 They both agreed that for all it has to offer, Istanbul has one failing – its wine! 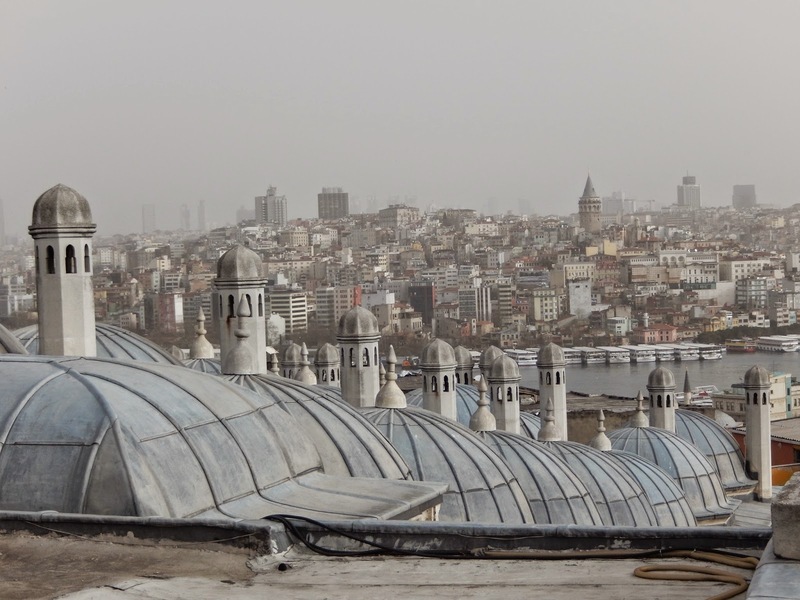 One last view over the rooftops of the city from the grounds of the mosque. The requisite selfie at the Mosque of Suleyman the Magnificent.